Well, I just had a very depressing experience. Hanging out with all these food bloggers and attending the Music City Eats festival (which was just rated one of the top food festivals in the nation) gave me delusions of grandeur. 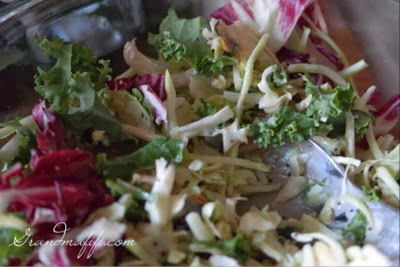 I was trying to re-create a crust that I saw Nancy Silverton make at the festival. I had a clear mental vision of how my cute mini cherry turnovers would look. But, instead, I had fragments of dough all over my kitchen. The jam leaked out of the turnovers and burned. The taste wasn't horrible, but my dough didn't look or behave anything like Nancy Silverton's. I ended up patching it together and using it for a quiche shell. 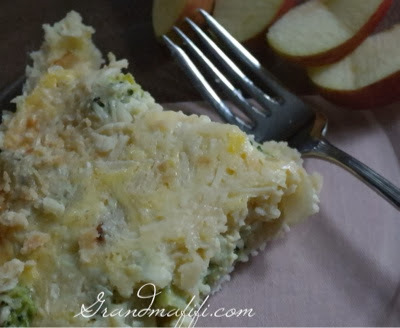 Put broccoli and sautéed onion in quiche shell, mix other ingredients, and pour over broccoli mixture. Bake about 30 minutes in 350 degree oven until set (knife inserted off center comes back almost clean). 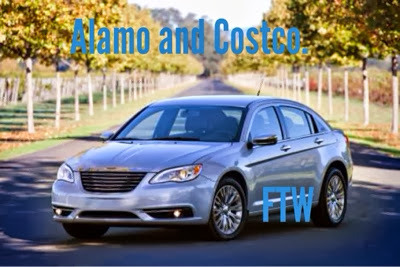 Recently I've had to look up two words that kept popping into my mind about Costco. The first is hegemony, an old graduate student word that was always used pejoratively. The second is schadenfreude, not a word we admitted to in graduate school, but a word I learned somewhere along the way. Hegemony implies cultural hegemony, uniformity of taste. Sometimes when I'm in a Costco far from home, I wonder about cultural hegemony. But, whether I purchase at Kroger or Costco, my paper towels look the same. 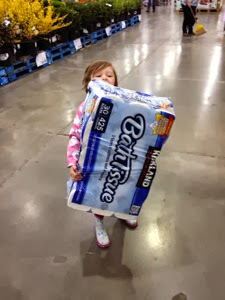 I'm not throwing my support away from my local region by buying a better and cheaper paper towel at Costco. It's not clear to me that it's a plus for the regional economy for consumers to buy from a gigantic grocer rather than a gigantic box store. In the past 10 years I've increased my support of local producers; I buy local produce and meat and local arts and crafts. 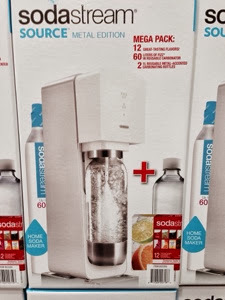 I've had a Soda Stream for several years (before Costco carried them). I don't usually drink soda, but I like sparkling water, and I use mine for that. If you've got a favorite soda, I don't think this will replace it, but if you like to add sparkling water to wine or fruit juice, or drink sparkling water by itself, this is a great product. Costco is selling this for $99.99. I've heard that some people have trouble finding replacements for the fizz container (my Brooklyn daughter). I've never tried to do that, so I don't know how hard it would be. 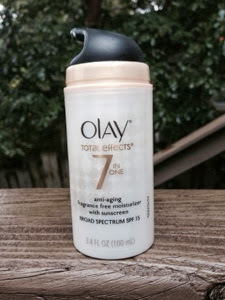 Mine has lasted a long time, but I don't use this product regularly. According to the Internet, Walmart and Williams Sonoma carry the replacement canisters. Wonder which would be cheaper? I think if Costco carries the product, they should carry the replacement canisters. Before Pinterest I had never heard of mesh ribbon, but last year, looking for ideas to decorate my front porch, it seemed that every design incorporated mesh ribbon. 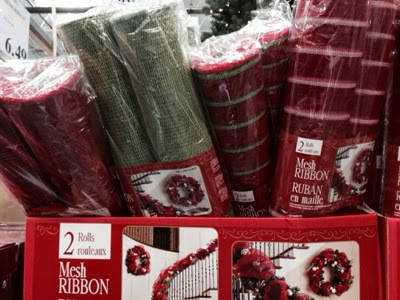 This Christmas Nashville Costco has mesh ribbon in packs of two rolls, 20 inches wide by 10 yards each, or $6.49 for the pack. 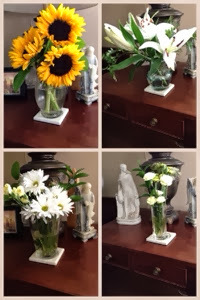 For directions of how to use this in decorating just search on Pinterest for "mesh ribbon". 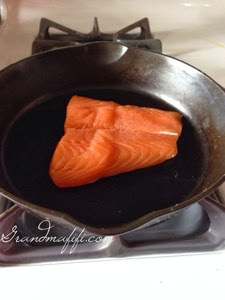 In checking my work, my professor said, "Why are these recipes on your blog? I thought it was about Costco." I told him that the recipes focus on products I buy at Costco, but I should have told him: Nope, my blog is about me. 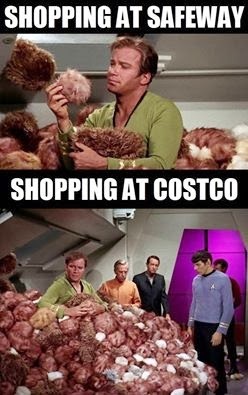 Both Addicted to Costco and Costcotuu also focus on Costco, but, when they write about their personal lives, I like that as much or better. 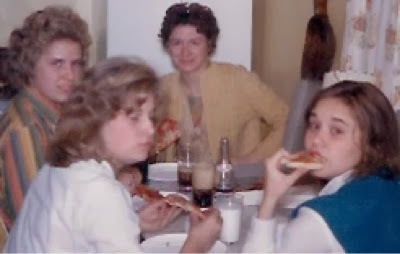 When my blog slips away from Costco, I try to mark those posts with the heading: "Not Costco Related" for people that don't want to read about my 50th High School Reunion or my fight on Twitter. 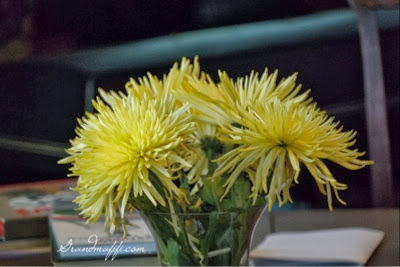 The blog's subject matter may be a little unusual, and sometimes I wish my blog fell clearly into "mommy blog" or "food blog" or "craft blog" so I could participate more fully in the great support networks of those bloggers. 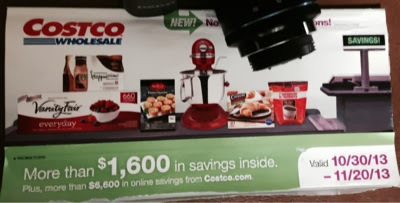 I believe that Addicted to Costco, the Costco Wine Blog, Costco Cuisine, Costcotuu and I need to form a Costco bloggers group; and, for a first meeting, I suggest using Costco travel to help us book a blogger meet-up someplace equidistant from us all. 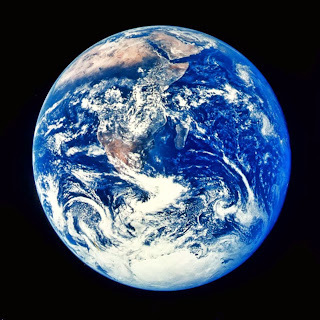 Since we are all over the globe, figuring out a location would be fun. Cranberry, Pennsylvania, Costco had a mix of food that let me know we weren't in Nashville any more. I had to stop myself from buying since I was flying. If we had been driving, I would have filled up the cart. Things I would have purchased: sauerkraut, thin spaghetti (I guess it's not PC to call this vermicelli anymore), canned pumpkin. Cranberry Costco had almost an entire aisle of pasta choices. I get that different ethnic groups make for different food choices, but canned pumpkin? Not sure why we don't have that in Nashville. I'll look again just to make sure. Cranberry had more warm clothing than Nashville, and I did buy tights which aren't available in Nashville. 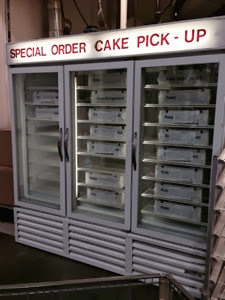 I thought this special order cake fridge in the Cranberry Costco was snazzy. 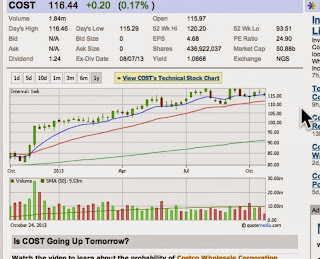 Most Costco news this week concerned new locations or the stock price. 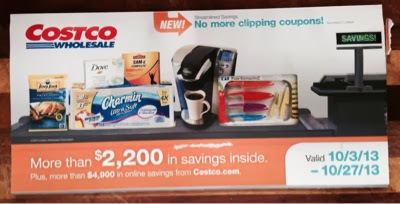 Costco continues to expand both in the US and internationally . 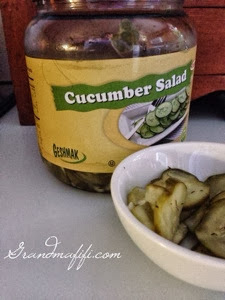 For a review of what's coming, Kimberly over at Addicted to Costco has great updates. 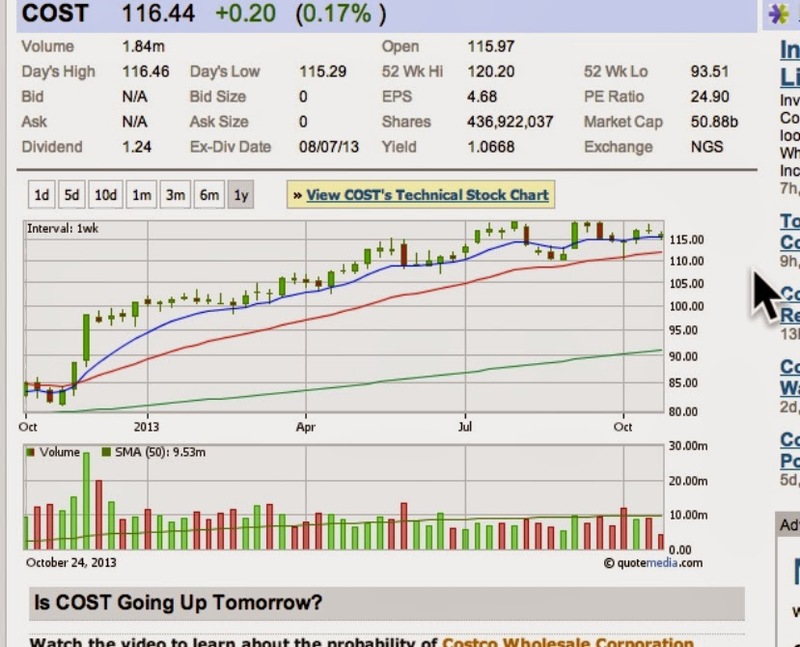 Stock advice varies from analyst to analyst with Buy or Hold being usual. 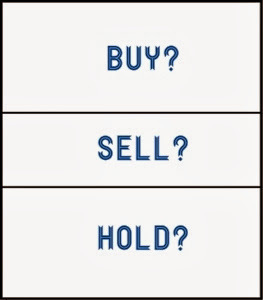 I have not seen Sell. Analysts think the stock will go up. I want to make it clear. I don't own the individual stock; and I'm no expert in stock prices. 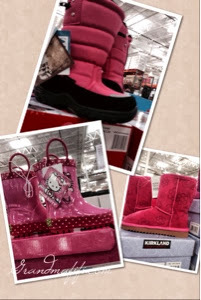 My Nashville Costco has three different types of pink toddler boots! This seems like an unusual abundance of one kind of product. The Miss Kitty Boots are rain boots selling at my Costco for $17.99. The Khombu Boots are snow boots, have a warm lining and look water resistant. 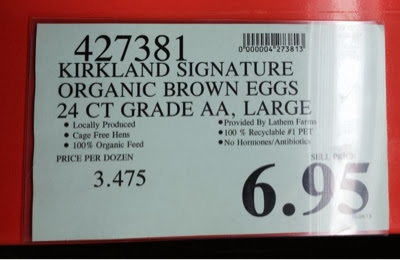 Those are selling at my Costco for $16.99. The tiny pink Kirkland shearling boots are selling for $21.98. Not sure why toddler boots get this much floor space. Admit it. Whoever developed smokeless cigarettes is brilliant. I guess technology is at the point where anything can be miniaturized and mechanized. 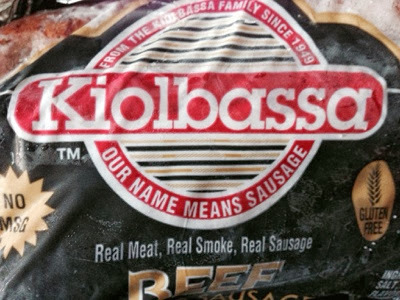 At least one smoker I know is resistant to trying these. I think he's choosing the devil he knows rather than the devil he doesn't. So many new inventions turn out to have side effects worse than expected, I think he's waiting for more research. The research isn't in, but some public health officials think electronic cigarettes are almost definitely better for you than the real thing. While quitting entirely is best, health professionals believe that reduction of harm is better than nothing. In other reduction of harm products, gum or patches have substituted for nicotine; in the case of electric cigarettes, a vapor is inhaled into the lungs. I understand not wanting to experiment with this. But, I had pretty bad asthma as a child; and I wonder, if my mother, who smoked, had used smokeless cigarettes, would my asthma have been any different? 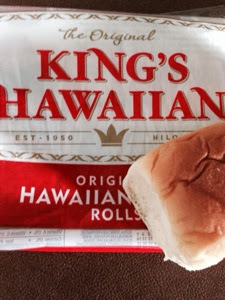 If you are interested in trying these as a consumer, the Costco product is probably not for you. 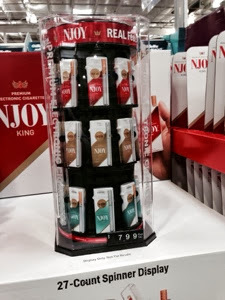 What Costco sells is intended as a display for retail sales - an nJoy rotating stand with a variety of e-cigarette types, menthol, 3% and 5% solution; 27 packs for $139.99, with a suggested resale price of $7.99 each.